Jim Shannon has practiced in Virginia for over 40 years, and has appeared in nearly all of the 120 Circuit Courts in the Commonwealth. He has tried over 250 cases to jury verdicts in Virginia, most of which have involved personal injuries sustained in motor vehicle accidents, premises liability situations, or as a result of allegedly defective products. 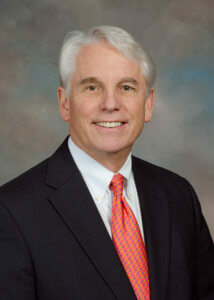 For nearly 20 years he represented a defendant corporation in the asbestos litigation. For most of his career, Jim has been retained by insurance companies to represent defendant individuals and corporations; however in 2001-02, he practiced with a prominent plaintiff’s firm and tried cases to verdict in that capacity as well. He has been requested to serve as a mediator and an arbitrator for over 20 years, and has resolved over 200 cases in that capacity. 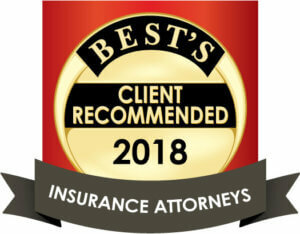 Jim is AV rated by Martindale Hubbell, and is listed in Best Lawyers in America for arbitration, personal injury-defendants, and insurance law. He is also recognized as a “Virginia Top Lawyer”, and “Super Lawyer in Virginia.” He has been a frequent speaker at Bar and Claims Associations on topics involving third party litigation and coverage. In 2017, Jim was selected to serve as a faculty member of the Harry L. Carrico Professionalism course for a three-year term. He is on the Executive Committee of the John Marshall American Inn of Court, and is a past president of the Bar Association of the City of Richmond.